As of January 1, 2017, I will no longer describe my latest ailment to anyone who will listen. It will be a difficult resolution to keep; I enjoy clucking away about my physical difficulties to those who don’t retreat when I lean close and confide, “You know, I have this rash…”. Later, we couldn’t believe we spent an evening talking about our maladies rather than our jobs, families, movies and sports. Physical problems had plagued all of us our entire lives, but never before had we felt the urge to share them with all the fishes in the sea. Like most people, my friends and I grew up in a maze of childhood sicknesses, wandering cluelessly from colds to mumps to measles to chickenpox. We suffered earaches, stomach-aches, sore throats, pink eye and the flu. We worried about tonsillitis, which could lead to a dreaded tonsillectomy, and lived with the threat of polio, which lurked in the background of every day, an uninvited and dreaded guest. We were quarantined to our rooms and confined to our beds. We whined, complained of boredom and dreaded the agony of vomiting. We sweated under mustard plasters, soaked in Epsom salts and scratched our red spots when our mothers weren’t looking. At one point, to cure my chronic sinus congestions, the doctor told Mom I had to forego sugary treats and, when it was cold, wear a stocking cap to bed. For weeks, I blew my nose and ate a banana while my siblings enjoyed cherry pie and made fun of the raggedy knit hat I wore to bed. Yet I never inflicted a detailed description of my malfunctioning sinuses on my young friends; nor did I introduce my hangnail-infected big toe into a late night conversation with my college roommates. My impacted wisdom teeth and stress-related headaches were never discussed in a faculty lounge. I admire my sister-in-law, a successful professional woman and involved grandmother, who has wit, intelligence and complex health issues, problems that would allow her to dominate any discussion. But she never mentions them. Ever. When directly asked by those of us who love her, she responds simply and briefly and then gracefully changes the topic to grandchildren, pets or politics. So, in 2017, I’m going to follow her example and stop pouring a detailed description of my latest symptoms into every available ear. But I don’t promise to quit writing about them. Funny and charming post, Janet! I loved it and LOL’d over your descriptions of childhood illnesses and the desire to share and let it all hang out in adulthood! Your writing glows! How kind of you to tell me my writing glows, Diane. I like that. I’m betting you laughed at my descriptions because you shared some of those same childhood illness as well as the adult desire to talk about our ailments. Am I right? SO true – and some people seem to enjoy (telling and listeningto) the lamentation more than others! As we age – and thank God that’s what we’ve been allowed to do – some people are dismayed that these things are happening to them. The one way that such sharing maybe beneficial is to help another solve a problem, particularly if they aren’t getting answers at the doc’s. I also think it’s okay to (occasionally) share with younger relatives so they might avoid certain maladies they may have inherited (been gifted!). There are so many other things to discuss and learn with our friends, so I will work to do more of that, too – happy new year! So good to hear from you, Sparky. I agree there are times to share, especially when doing so might make a difference for someone else. But I need to resist the urge to share my aching feet with the stranger in the grocery checkout line! (Not that I’ve ever done so, but I’ve been tempted.) I also thank God that I am aging and that my body is mostly cooperative. Thanks for dropping by; Joel says to tell you hello and wish you a Happy New Year. great insight, Janet. Until you brought it up, I never thought about our childhood ability to ignore whatever ailed us. And you are so right. For most of my youth my knees were covered with scabs and my limbs were rarely without bruises. Growing up in a litter meant that colds were passed from one to the other for most of the winter. I grew up in a litter as well, Shelley, (I like that description) and I sometimes wonder how my mom survived all the illnesses we brought home from school and shared with our siblings. You and I come from the same era. I had five siblings so my poor mother ran an infirmary when ever one got sick we all got it, the funny thing is I only remember her getting sick, stay in bed sick once. We thought she was going to die so we went to the rectory after school one day and asked father O’Tool to pray for her. He felt so bad he drove all five of us home in his car. My baby sister was not attending school yet. When we arrived we pointed to my mother’s bedroom door, he knocked and heard her say come in and there she was sitting up in bed for the first time in two weeks smoking a cigarette. She was also reading a magazine. “Well, you don’t look like you’re about to die Mrs. K.”. “Oh, hello Father O’Tool, who told you I was going to die”? “Your children came to me after school and asked me to pray for you. They thought you were dying”. “I had pneumonia but I am much better now”. “I can see that. I think you should let your children know that”. Happy New Year to you as well, and thank you for this delightful, well-told anecdote. It is priceless. I think I’ll be smiling about it for days. I hope my other commenters will have have the fun of reading it as well. I think there’s truth is your comment, Val. Why is it we develop a feel for what’s cool when young and then gradually quit caring about being cool with age? For instance, I know skinny jeans are cool, but they are not something I’ll ever prance around in. Ha! I’ll show you my rash if you show me yours. I was so glad to see your one-word sentence (Ever.). I used that in my next essay. It’s part of being an old fart. I spend a lot of time discussing bowel movements of late. Happy New Year, Rob. Sometimes one-word sentences are just the ticket, aren’t they? So far my only comments about bowel movements are in response to a doctor’s query. I aim to try to keep it that way. I’m new here. Hope you don’t mind if I comment. I love this post. Especially the part about the banana and red cap! Thank you for the warm welcome! It’s nice to “meet” you. I understand about let and led– I mess up on comments and always wish there was an edit button! Ha! I was quite sure you’d understand. We have so much in common, Lynne. I, too, get grumpy about the use of cell phones in social situations, and when young I looked forward to the recovery stage of my illnesses when I still had to stay in bed but felt well enough to read and read and read. Actually, I still look forward to it. Being unable to do anything but read is the best part of minor illnesses. Growing old is part of life. In ancient religions in the Indian sub-continent, aging was the time to withdraw from reponsibility and reflect. ( I suspect only the men got to do this). I think we have to embrace aging as a source of wisdom. If we see it as something shameful, the generations beneath us will make us more invisible than we already are. Happy New Year! Your vision of a perfect universe is spectacular, Martha. I’d sign on. If only… Maybe in the future with genetic engineering. I’ll do that, Martha; as my doctor says, its better to move it than lose it. My dad never talked about his ailments, and though he was very masculine, he, too, didn’t suffer from machismo. I admired him for his stoicism, but couldn’t replicate it. I think there is a middle way, and I intend to seek it..
That sudden change must have been hard on you, Martha. I subscribe to your wearing out theory. My dad did as well, but he wondered why of a person’s two legs, two arms, etc., each the same age, one always wore out sooner. That’s something I wondered, too. My orthopedic surgeon said it can be a number of things — first that we’re not really symmetrical and then a lot of arthritis starts from an injury that knocks something just a tiny bit out of kilter, sometimes not even enough for us to have been hurt. Thanks for the info, Martha. It sounds logical. I like the philosophy you’ve adopted and feel much the same. I ran (slowly) until I was 70, mourned when my body forced me to stop, and now look forward to my walks, that become a little slower each year, as much as I used to my runs. Thwarted by technology again.the reply above was in response to Martha Kennedy. Janet, once again you have described our stage of life with commonsense, wit and insight. Thank you. I hope you have a Happy and healthy new year. Technology can drive a person batty, can’t it? I think that’s why we all understand when something goes astray. I’m glad you enjoyed this post, Sally, and I wish you a rewarding new year as well. I agree that there is comfort in knowing others are “fighting these small daily battles” as well, Dan. As for beer, wine, and chocolate, of course they’re medicinal, silly boy. Now that I have that on the authority of a teacher, I’m good. For whinging over everything, work in a Health Food shop, my co workers panic at every germ, gulp horrible concoctions, drink mushroom hot chocolate, chose seaweed over a fat steak, and do not recall, as we do, the shadow of Polio, waking up Christmas Day with Mumps, and Cod liver Oil. 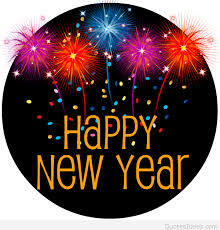 I resolve this year to count my daily blessings- great post Dear Janet- Happy New Year to you and Joel. I hope your new year is fulfilling and happy as well, Sheila. You are one of the best gifts blogging has brought to me and each and every day I wish you well. I had forgotten about cod liver oil. I should have included it and also the green tea we had to drink when our stomaches hurt. Your co-workers sound like a rare lot. Dlo they also much on chia seeds? Hello again Auntie dear,not so much Chia seeds, but Sava Seeds that taste like fish.Some glug flavoured fish oil for dessert. Ma believed in “Dettol”, and Dr Fowler’s Extract of Wild Strawberry- apparently still available, and look how I turned out. Remember that discussing boils in a lineup gets it moving, especially if you are alone- learned it from Alice. Well, Sheila, you and Alice surprise a guffaw out of me this morning just as I tried to swallow coffee. The result was not elegant. I won’t mention anything health-related right now. Instead, I wish you and yours a very Happy New Year. Thank you, Neil, and I return those wishes to you and your loved ones. And I very well might have appendicitis. Not sure what my knees are doing. My tummy had too much cheer. Or just the burping from a midnight snack? And lips have a permanent pout. It’s a rough job but somebody has to do it. Happy New Year back atcha. Hm, so your body is human, your poetic muscle divine? Love the poem/ conversation stopper. I wish you more of this splendid health for 2017. Don, I knew the first time I read your blog that you are a person of wit writing laugh-aloud funny pieces. (I believe the first thing I read was part of your clever retelling of the Hamlet story.) And yesterday morning I read this gem and chuckled about it all day, even when the busyness of living kept me from responding. Then I reread it just now and found funny little bits I missed the first time around. It’s a classic, and I appreciate your putting it on my blog for my readers and me to enjoy. You ensured my happy new year had a good start. I’m glad your muse is merciless. That’s quite a list of maladies, Janet. My ear is always available to hear your ailments, friend, because how can I tell you mine if you’re going to be so stoic? Janet, I’m wishing you and Joel a New Year free from complaints with lots of what makes you happy. Actually, Mary, I’ve been embarrassed by how I monopolize our time with my ailments on those rare, wondrous occasions when we get together. You are such a kind and sympathetic listener, that its easy to rattle on and on; and I don’t suppose that will change. Your two greetings for each day’s bad news from your aging body made me laugh. I think I’ll adopt them. Thank you for your kind wishes, and Joel and I return the same to you. Happy New Year, dear friend. I love your mix of truth and humour, Janet. May you be well and enjoy a fantastic 2017! Thank you, Barbara. I hope your 2017 is everything you want it to be. Ah, the ongoing and new conditions coming with age. As JL and I deal with these conditions, I too, don’t talk about them too much. But, there is always that need to share what is happening in your life. Always a delicate balance. I marvel sometimes on Facebook about how many people describe their ailments in great detail. I would prefer not to read them, although I know it is important to those who write them. It is life after all. Wishing you and Joel a very Happy New Year! Janice, I think your comment shows the rare mix of wisdom and common sense with which you approach life. I’ve always appreciated that about you. Joel and I wish you and JL well in the coming year and also hope it will include another renegade reunion. Thank you for the kind words Janet. Definitely ready for another renegade reunion! Let’s do it as soon as we no longer have to worry about major car-pile-ups on I-70’s winter roads. And I want to cook and take photographs like you, Gail! You and your mom are guaranteed to make me laugh, Lucie. Have you ever told her what a joy she is to all your readers? I hope you and Linda are doing well and looking forward to a new year that rewards you. Your sister-in-law does sound impressive. A good example, no doubt. Sorry about your rough childhood. It made you stronger, most likely. 🙂 “You know, I have this rash…”–LOL! She is impressive, and also one of my favorite people in the world. I’ve known her since she was in third grade and have loved her every minute since. So nice that she ended up joining your family then! The interesting thing is that her brother and I divorced after 23 years of marriage, but my relationship with her, and her parents, never faltered. Oh, well that’s good. I mean, too bad about the divorce, but I’m glad you got to keep that side of the family. Did you remarry? Dear Janet, my response to your stimulating article would not fit into this little comment field, so I have blogged in reply to a question that you implied: why do we do it? I do not have the answer, by the way. Do you? I’ll be sure to read your blog, Rachel. Like you, I don’t know the answer. I wish our readers would weigh in on it. They are! You made me think about something I had never questioned before, so thank you! Many times I’ve wondered why my friends and I now complain about our health, rather than discuss fun things. I think it started at age 50, when we all realized we’re no longer immortal. I really, really, really admired my Dad; he never complained about how he was feeling—ever—even when he was dying of cancer. I hereby resolve to adopt your New Year’s resolution. Here’s to a happier (and healthier?) 2017! I’m surprised by how many of my readers have confessed to having the same health-complaint conversations. I agree it began when we started to sense our mortality. Your dad sounds like a brave person. He and my sister-in-law are unusual in their fortitude. I really am going to try to be more like them and less like the complainer I think I’ve become. Happy New Year to you and Tim, Rita. Oh my goodness! My family used to do this at the dinner table–discuss in detail who had cancer, the treatments, etc. And any other disease or thing befalling friends that was talked about in hushed tones. It drove me nuts! Too much living to do to focus on the aches and creaks, right? Absolutely right, Kay. My sister once went to dinner with several of our older relatives, one of whom suggested they each give the history of their major illnesses and surgeries. My sister later told me she decided if they started showing their scars, she would leave. lol! My sister once had a date where the man explained his colonoscopy in detail. I told her I would have fled :-). I’m glad you enjoyed the post, karenlee. It was my husband saying that about me after I had been on a new medication for a few weeks that dried my mouth out. At the time I didn’t think it was funny, but in retrospect had to chuckle. As usual, a charming post to make me smile! Oh thank you, Maizie. It makes my day when I hear from you. Gee whiskers! I chewed you and Lucie’s ears off in 2016 with my never ending story, Annie’s Five Year Medical Drama!!! I think it is finally all done and dusted and 2017 will be more about wellness than illness, Hoping to return to work soon, so there’s a big chance I might feel a pinch and a pang in this ol’ body…I hereby resolve to suffer in silence in 2017. I hope you keep writing about your sore spots because somehow you always make me smile or laugh out loud, I should be going out in sympathy for you. The time you fainted and fell in the mud, floundered out and somehow managed to find your way home, a minor incidence Aunt Beulah, I think from memory it was only a pacemaker that you required. Nothing minor about that, it was a biggie but you brought your innate sense of humor to the story and had us all floundering in the mud with you, giggling at just the sight of it all.. I hope you and Joel have a safe and happy 2017!! My Dear Annie, I hope you know I don’t view you a one of those I’ve resolved not to be, those who gobble on and on about their minor physical concerns. You faced major issues and, the few times you communicated about them, did so with humor and pluck. I consider your recovery one of the blessings I experienced in 2016. Please don’t suffer in silence unless it’s about an infected ingrown toenail or a rash on your bottom. Those I don’t want to hear. My best wishes to you for a 2017 that is truly more about wellness than illness andis filled with a multitude ofl blessings big and small. Annie again popping in for a visit, I agree with you and 2017 will be a year of wellness Aunt Beulah. I loved your story I Hereby Resolve, I would never think anything you write could be anything other than a joy to read Aunt Beulah, I am a huge fan of your writing and happy as larry that we have become friends. Oh my! Yet again you’ve got me wiping my eyes from tears of mirth! It is a rare occasion indeed when I sit down with friends and the commiseration over ailments does not feature! I’m so happy to hear from you! I assume you’ve been off in an interesting location having a wonderful time. I’ll visit your blog soon to find out. You are so right, Katie, that our topics of conversation depend on where we are in our lives. When Joel and I used to visit our grandchildren when they were babies and toddlers, we’d find ourselves in the middle of conversations about toilet training, diaper changes, teething, etc. Then we’d go home to discussions of dry skin and aching knees with our friends..